*Looking for Back Up*Beautifully remodeled corner-end, unit in Windward Estates! This home features an open layout, luxury vinyl flooring throughout, updated bathrooms and a gorgeous kitchen with brand new cabinets, counter tops and stainless steel appliances. Soak in the beauty of Kaneohe from your two private lanais and enclosed patio. Entertain family and friends with amenities including pool, hot tub, sauna, clubhouse/meeting room, tennis/basketball/volleyball courts, children2019;s playground and community garden! This home is just waiting for you to move in! Peace & Calm surround you as you enter this lovely unit! Upstairs is a spacious Living/Dining Area that opens to a huge lanai with lush garden & Koolau Mountain views. The airy Master Bedroom has a walk-in closet and adjacent is the Master Bath with a large tiled walk-in shower. Country Kitchen has newer stainless-steel appliances, newer cabinents, walk-in pantry, quartz counter tops and a big country style sink! Downstairs are 2 additional bedrooms, a bonus room suitable for an office/study or play area, an additional bathroom, a laundry room, and a sweet private yard perfect for children, pets or gardening! 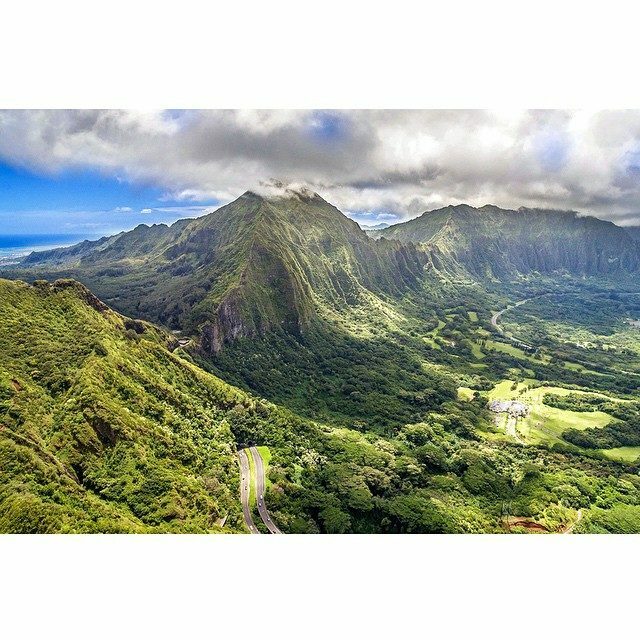 Temple Valley is a pristine & family friendly neighborhood and Koolau Shopping Center is close by with Movies, Restaurants, a Times Market and a McDonalds. Complex is Pet-Friendly! AMAZING VIEWS, tranquility & relaxation! Enjoy peaceful mornings on your lanai overlooking the beautiful crystal blue waters of Kaneohe Bay as the Pacific ocean sparkles out on the horizon while the soothing sound of leaves gently rustle D;A;in the cool island breeze. Live in paradise at this resort-style community w/pool, jacuzzi, BBQ & rec areas, tennis courts, D;A;ponds & gorgeous Koolau Mountain range that stretches across the skyline as you take in all the beauty along the paths D;A;that meander through the stunning tropical landscape of Pu'u Ali'i. Located just minutes from Windward Mall, you will be D;A;able to appreciate the conveniences of all the amazing shops, restaurants, grocers & entertainment nearby! Gorgeous 2 bedroom 2.5 bath loft in the desirable Eden at Haiku Woods. Beautifully renovated unit has vaulted ceilings, custom storage cabinets and bookshelf. Open layout kitchen with stainless steel appliances including Kenmore Elite Range, granite counter-tops and island. Corner end patio great for entertaining friends. Additional features include upgraded bathrooms with slate tile, W/D inside, recessed lighting and so much more to appreciate. Conveniently located near the Likelike & Pali highways, schools, parks, shopping and restaurants. Stop by and see all this home has to offer! This well maintained, 3 bed, 2 bath town home is single level with an open, functional floor plan. Covered/open lanais offer additional quiet space to relax as well as natural lighting for the living area and all three bedrooms. Ample storage and a laundry room are also desirable features. Windward Estate offers many attractive amenities for each family member & guests which include; a clubhouse, pool, Jacuzzi, tennis & basketball courts, a community garden and a natural stream flowing to a pond. Convenient access to major roadways is very desirable. In addition, Windward Mall, groceries, dining, and entertainment are within one mile. OPEN HOUSE on SUNDAY, APRIL 28th from 2-5PM. Spacious 3 Bedroom 2 bath townhome in Club View Gardens complex. Come home to the peaceful and relaxing Temple Valley neighborhood of Kaneohe surrounded by the majestic Koolau Mountains. Full bedroom and bath on ground floor. The living room opens to a large private lanai overlooking a wonderful green space. This home features: Ceramic tile flooring, storage, yard, ceiling fans, whirlpool, walk-in closet, granite countertops, walk-in shower, and laundry room. Close to Kaneohe Bay, Shopping center, parks, schools, and Kaneohe Marine Base. 3D Interactive video tour in Virtual tour section. ABSOLUTELY GORGEOUS & READY TO MOVE IN! Pristine 2/2/2 unit at highly desirable Poha Kea Point features upgraded kitchen and bathrooms, spacious lanai and a 1-car garage (shared w/next door neighbor). Resort-style amenities and beautiful views of the KBay surroundings. Did you know that you can use common/rec facilities of 3 complexes (Poha Kea Pt., Puu Alii 1 and Puu Alii 2)? That includes 3 pools, a pavilion, picnic areas, tennis courts, walking paths that connect all and more: AMAZING recreational areas. Perfect alternative to a SFH. Open floor plan for true indoor-outdoor living with open kitchen/bar seating and generous lanai. Shopping/restaurants/major thoroughfares/ocean fun minutes away. What a beautiful privilege to live here! An amazing opportunity to own HIGHLY DESIRABLE WINDWARD OAHU. Tastefully remodeled 3/2.5 with LARGE private enclosed lanai for relaxing or entertaining, laundry in unit, 2 parking at front door, and SUPER LOW maint fees, and playground. Tropicana Village Haiku is pet friendly so bring your fur pals! (please verify) Conveniently located in majestic Temple Valley with beautiful mountain views, ez access to bus lines, shopping, dining, entertainment, and lots of outdoor adventures (hiking, waterfalls, fishing, diving, paddling and so much more on Kaneohe Bay) this property truly offers you a lifestyle to envy. A tremendous value that's move in ready and only unit available...BETTER CALL TODAY! First Open House 3/24 2-5pm. 0% financing available. Only approved for FHA? Working on FHA approval.